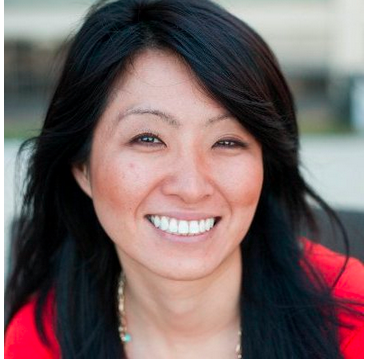 Discover the sales topics everyone in the sales industry was talking about at Dreamforce ’14. Up first: social selling. Dreamforce 2014 is a wrap. Once again, innovation and insights flowed freely from California’s golden coast. If you weren’t able to make it to Dreamforce, or weren’t able to make it to all the sales-related sessions you hoped to attend, you’re in the right spot. 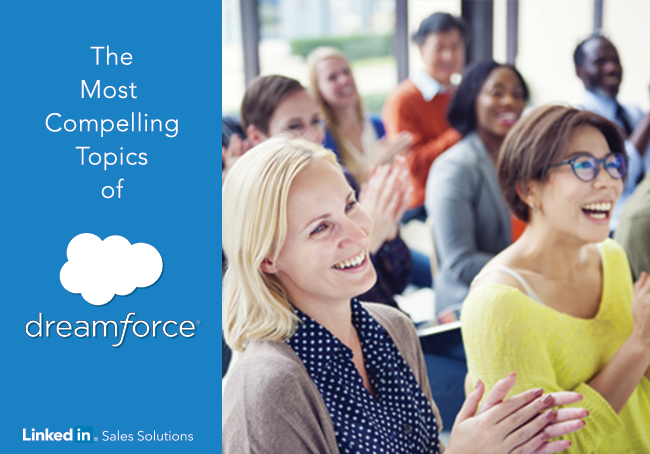 Here are the three most compelling sales topics of Dreamforce 2014. Social selling making this list should surprise no one. What is surprising, however, is how “social selling” and “selling” have become virtually synonymous in only a few years. You’d be hard-pressed to find a sales-related session (or even a peer-to-peer conversation) during Dreamforce ‘14 that did not revolve around social selling. Those already using social selling are realizing the benefits, which is why they are going full steam ahead. Those just getting started are looking to rapidly scale adoption so that, they too, can find the right people, engage them with insights, and build the relationships that drive ROI in today’s B2B buying environment. You already know that cold outreach is ineffective, with 90% of decision makers admitting they never respond to cold calls or emails. But did you know that 95% of decision makers now expect new information or insights from sales reps? That’s nearly all of them. That’s why it pays to know how to lead with insights. Luckily, with the right social selling tools, today’s sales professionals can efficiently deliver relevant insights to the right people at the right time. Do you know your SSI yet? Do you know why it matters? Looking for a promotion? Raising your SSI can get you there faster. Just follow the leaders. Check out our latest eBook, How Leading Pros use LinkedIn for Social Selling.